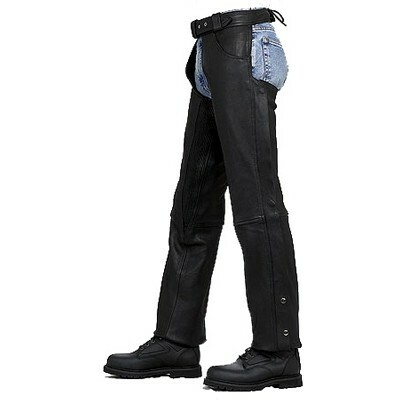 Genuine Leather Heavy Duty Chaps YKK Zippers with Flap Cover. Satin Fabric Lining up to Knee inside. Belt Adjustment for waists, back Laces Adjustments Available in all size (XS, S,M,L,XL,XXL,XXXL) Any Specifications, Colors, Sizes, Measurements possible to custom made.